The cool green of northern Minnesota refreshed the soul. Towering forests of pine surrounded the Schroeder's new farmyard. Behind the house meandered the St. Louis River. "Here you don't have to pray for rain," the neighbors told them. The railroad agent had been right about the gardens. Every year they raised a big vegetable garden and harvested hay from their meadow. Back row: Wanda, Ed, Emma and Olivia; Front: Lillian, Eva, Leroy, John and Loyd. They weren't quite prepared for that first winter, however. Minnesota winters are harsh, and during that first winter, temperatures plunged to 40 and 50 degrees below zero. What they thought was a large woodpile, lasted only until New Year's. It was a big job to get more wood out of the forest, with snow up to the horse's breast. They learned that to get through the winter they needed a woodpile about the same size as the house. 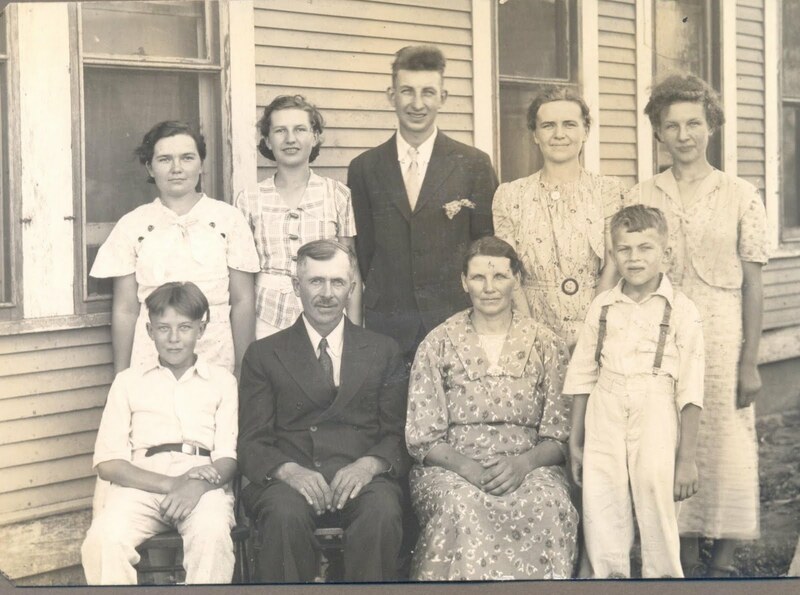 The Schroeders had come to Minnesota in 1934 with almost nothing and with seven children at the table, they had plenty of needs. It took a few years to get back on their feet. John was able to get a few jobs, once dragging the road all night to keep it from freezing and then later working with WPA a few days a week. He and Ed were also learning to be lumberjacks. They cut trees down with a bucksaw, then axed off the branches during the winter. After the spring sun hit the wood, they would come back and peel off the bark and cut the tree into pulp wood sticks, which sold for $6 a cord. 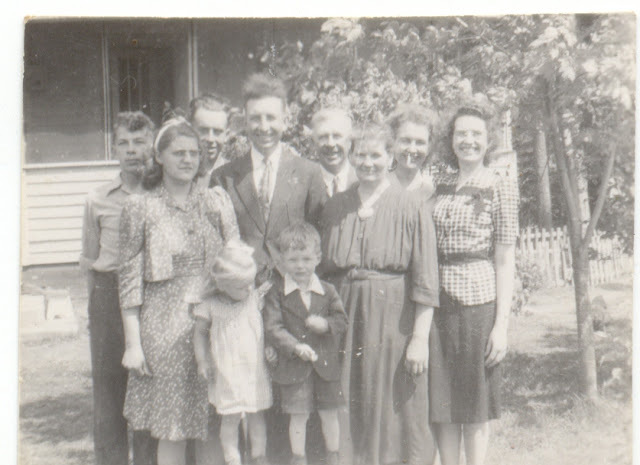 Floodwood was not much of a churchgoing community. 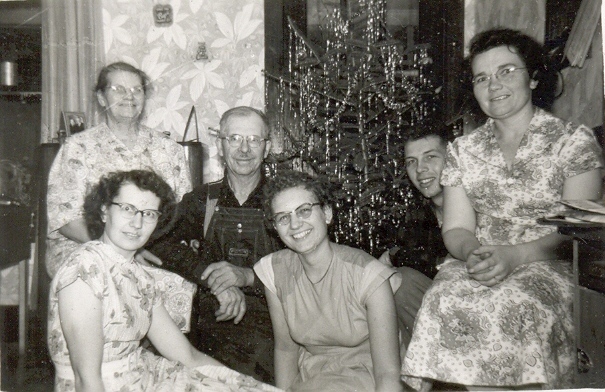 Right after the move, the Schroeders had begun a Sunday school in their home. Several neighbors came, too, especially for the Christmas program, and that was encouraging. 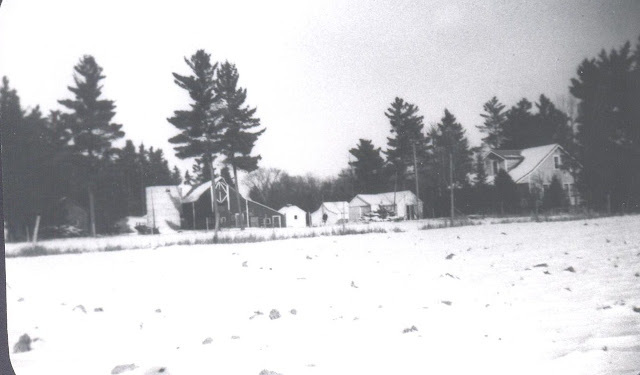 The Minnesota farm in winter. Eventually they became part of the Floodwood Bible Chapel. Still, they were concerned about their children and what they would be exposed to daily at school. All they could do was pray and trust God to guide them and keep them from going astray. Slowly the Schroeders were able to make a good life for themselves here. Nothing extravagant, of course, but they began to see some results from their work as they built up the farm and were able to buy an Oliver tractor. In 1942 they got the house wired for electricity. There were cows to milk by hand and hay to move. They raised chickens and pigs, dressed them and sold meat and eggs at the farmer's market. And there was always work in the woods. The children had begun to reach adulthood and go out on their own. Much to their regret, John and Eva had never been able to provide a lot of material goods for their children. However, the spiritual heritage they gave them was immensely warm and rich. As adults, their children would make their own decisions, and John and Eva were both pleased and humbled as they saw the choices they made. First, Emma felt called to be a missionary and went to Bible school and eventually to Ecuador, South America with her husband. 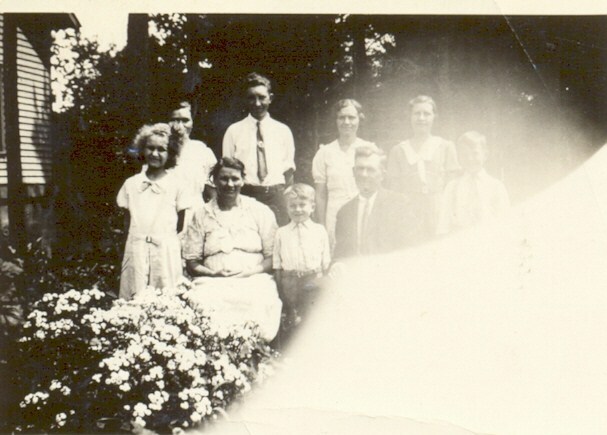 Later, Loyd and his family served as missionaries in Ecuador, too. The other girls (Wanda, Olivia and Lillian) worked in missions in the northern states or in other Christian service until their marriages. Leroy was an accomplished musician and college professor. All of the children married, established Christian homes and began giving John and Eva many grandchildren. 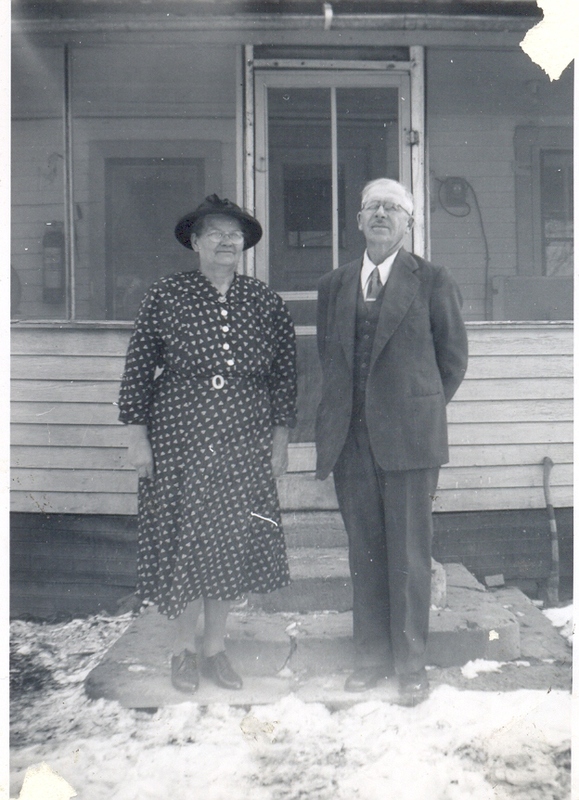 John and Eva Schroeder in front of the Minnesota farmhouse. Finally, it was just John and Eva again. Now she was his helper in the woods. As they approached retirement, they looked forward to taking a few trips. They traveled to the West Coast, visiting children and relatives along the way. However, they had an even bigger trip in mind: They wanted to visit their missionary children in Ecuador, South America.